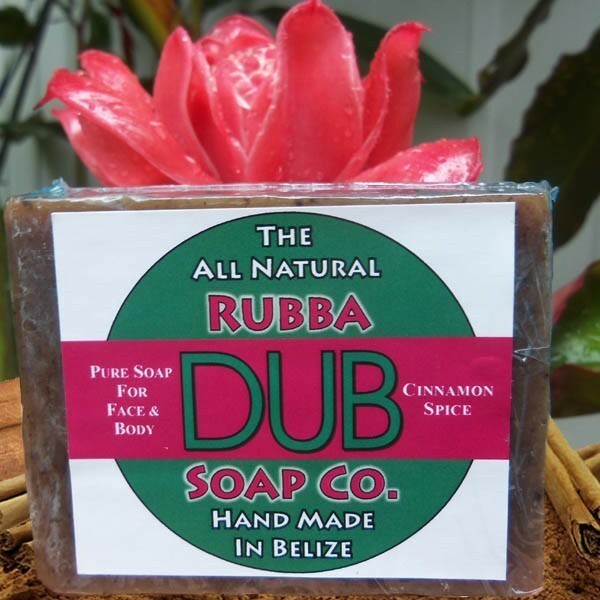 Rubba Dub Soaps are hand made in Belize, this natural healing and beauty soap is made of saponified oils of cohune, coconut,olive & soy, All spice and Cinnamon and essential oils of cinnamon, orange and Eucalyptus. They contain no animal bi-products or artificial preservatives. This soap was formulated to keep your face and body fresh, clean and moistured.